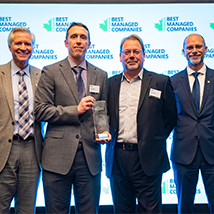 VMAC was named one of Canada’s Best Managed Companies for 2019. This prestigious nation-wide business awards program recognizes Canadian owned and operated companies for their management abilities and practices. Hundreds of companies submit comprehensive applications each year, but only a fraction of them are recognized as finalists after they have undergone a rigorous and independent assessment of their strategy, capability, commitment and ROI. These finalists are then benchmarked against one another to determine which companies are truly Canada’s Best.Read more. 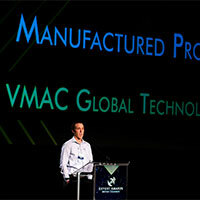 VMAC was named Industrial Manufacturer of the Year at the 2019 Business Excellence Awards. The Business Excellence Awards require businesses to highlight their employee and sales growth over the previous year. Candidates also must describe the innovations and changes made in the previous year that contributed to year over year improvement of the business’ operations. Read more. 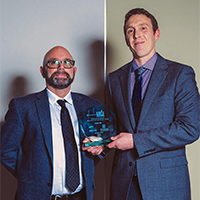 VMAC won the Manufactured Products Category at the 2017 BC Export Awards. These awards are presented annually by the Business in Vancouver Media Group, with support from the BC Government and the BC Division of Canadian Manufacturers and Exporters. Criteria for this prestigious award is based on the development of innovative systems or value-added components, machinery, or equipment for industrial and commercial use. Read more. 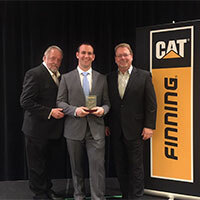 VMAC has been recognized by Finning International Inc at the 2017 Supplier of the Year Awards, winning the Innovative Partner Award. VMAC has been a Finning supplier for the past 20 years, supplying UNDERHOOD™ air compressors and Multifunction Power Systems used on Finning’s fleet of service trucks. Most recently, Finning requested VMAC to customize its Multifunction Power System with CAT engine power. VMAC began supplying these CAT-powered VMAC Multifunction Power Systems to Finning in March 2018. Read more.